The Sampur power plant has been a topic of much contention over the last few years. Now there is a school of thought that the plant should be fueled by LNG, as opposed to Coal. Many analysts, and also top level corporate titans, see this as a problem as the project timeline will get pushed back. If the project is continuously delayed, many fear an interim power crisis may develop if increases in electricity demand are robust. However, what about Solar Energy? Do we really even need to build this power plant at all? Everyone knows the obvious benefits of solar namely, clean energy, low cost of power once installed, low maintenance, and quick deployment. There are also the obvious drawbacks such as expensive upfront cost, and the fact that they can only generate power when there is sunlight. With regards to costs, they are dropping worldwide as time goes by. Dubai plans to spend US$14bn to generate 5000 megawatts of solar power by 2030 at its new plant which is setting benchmarks for cost. This current price bid for the project would undercut the cost of energy produced from coal, according to Bloomberg. This amount of power in the above project is far greater than the installed capacity of all power generation in Sri Lanka. We are a small county, with small power needs in a global context. Setting up a 100MW solar power plant in Sri Lanka shouldn’t cost more than US$200 million, according to some experts. With both international and private financing available, this is now a competitive option for Sri Lanka. Although it is impossible to present economics of Solar vs Sampur without a thorough study, there are some unique benefits of solar to a country like Sri Lanka. These are benefits that are unique to Sri Lanka and need to be analysed in comparison to our experience with the Norochcholai coal power plant. With Norochcholai we have experienced: construction delays and cost overruns, breakdowns and maintenance problems, and significant corruption with regards to procurement of coal. When these intangible costs are factored in, the economics of the plant are certainly worse than what was initially forecast. Opponents of solar are many, especially among the traditionalists who want tried and true cost effective solutions for power generation in Sri Lanka. One of the arguments is that the grid and power mix is not designed to absorb significant investments in Solar Power. This argument is backward looking in that these obstacles will have to be overcome in the future. As we are making capital expenditures with a life of decades, Sri Lanka must make an educated guess on where the future of power generation is going, and act accordingly. It is almost indisputable that the cost of solar is going to get cheaper every year. With this cost competitiveness coming, the grid is going to have to improve and adapt, or we will miss a huge opportunity. Power is an interesting investment that will have some kind of material return. It is not like highways, airports, or other types of infrastructure. Make no mistake, we need more power. Even if we get our calculations a bit wrong, investments in clean energy will have a measurable ROI and are likely better alternatives for our capital expenditure that other projects. The issues presented above and others need to be accounted for when comparing the economics of solar versus other energy sources. In theory, we should be willing to pay a higher price for solar given our experience with other types of power stations. If we decide to go solar, the country could start adding capacity to the grid almost immediately. The government can procure the panels and have them installed on government facilities island wide. This is low hanging fruit which we can exploit immediately. This policy will create jobs and technical know how with regard to maintenance and installation of these systems. A small economy can be built around this. The government should consider a trial in which it procures US$100mn worth of panels and start installing them on rooftops of government buildings. 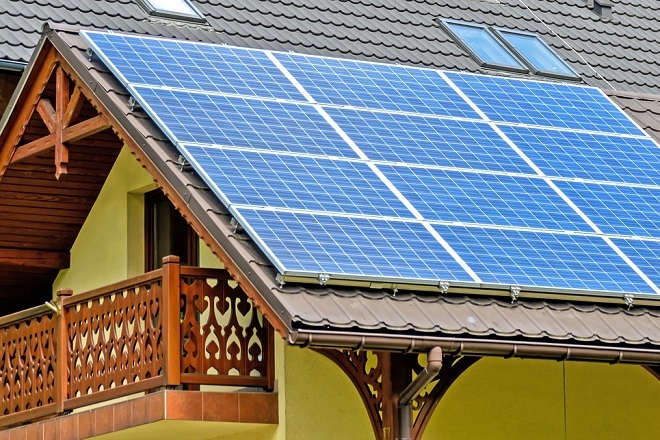 CEB customers should also have the option to buy the panels with installation from the government with a net metering agreement in a one stop quick transition. This should be done at cost. Only then will we be able to measure and really understand the economics of this type of transaction, and if it would be viable to scale up. Incentives should also be considered to encourage consumers to purchase rooftop solar systems for their own homes. Residential solar and net metering has worked, with some estimates of 25MW of installed capacity. Although small, this is material, and has been done without any subsidy or incentive from the government. If there were incentives, the installation of these net metering systems would be sure to accelerate. In reality, the government could dramatically increase installed capacity with minimal expenditure through incentives. The CEB has been fighting net metering on the grounds that there are problems with the transmission grid. It is more likely that they are fighting net metering because it is taking away from the CEB some of their most profitable customers. Some element of corruption can also not be ruled out when looking at the opposition to net metering. This opposition to net metering is extremely backward long term policy. The opposition to net metering does not take into account the costs of building new large scale power stations. If we can encourage consumers to install rooftop solar, it is quite plausible that the government will not have to spend another cent building another large power plant. These funds and loans can be directed to other infrastructure. The world is going Solar. Countries that have huge resources of LNG and coal are doing this for a reason. We as a country need to understand this. In Sri Lanka we do not have coal, and potential deposits of Natural Gas are untapped, so we have to import it. Why do we want to import these resources when we can use our own Sunlight and Hydro to produce power. Even if it is more expensive it makes sense in the long term to be self sustaining if we can. The future of power in Sri Lanka is likely solar and battery storage. The question is, will our decision makers figure it out only after spending a fortune on yesterday’s junk.